Magnific Popup is a free responsive jQuery lightbox plugin that is focused on performance and providing best experience for user with any device. The majority of lightbox plugins require you to define size of it via JS option. 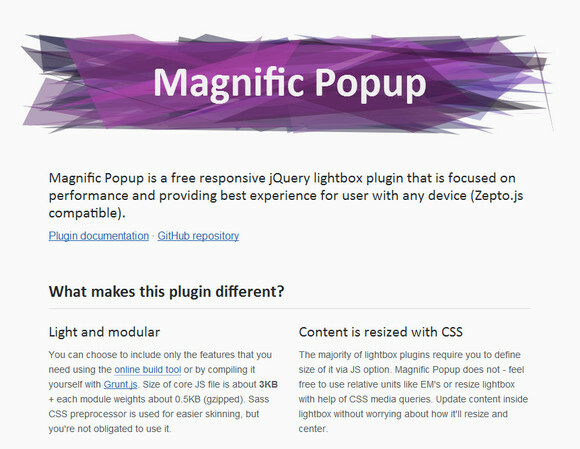 Magnific Popup does not – you can use relative units like EM’s or resize lightbox with help of CSS media queries. Update content inside lightbox without worrying about how it’ll resize and center.